I think that, no matter how hard we try, all of us have been bitten to some degree by the instant gratification bug. It usually happens to me when I find a listing for a book I'm absolutely wild to read-- and then find out that it won't be available for a year or two. Ouch. 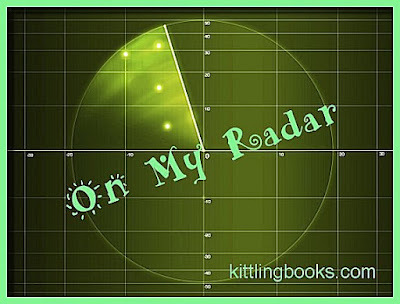 As soon as I learned that the next books in Paige Shelton's Dangerous Type and Scottish Bookshop series were being released next year, I made a note on my All Things Book calendar. I don't know about you, but I have different ways of dealing with books that I must read. In the case of the two books I'm about to tell you about, I know that I'll be going to author events at The Poisoned Pen to have Paige sign the copies I'll be buying, so there's no need to pre-order or anything. Which books am I salivating over? Let's take a look! 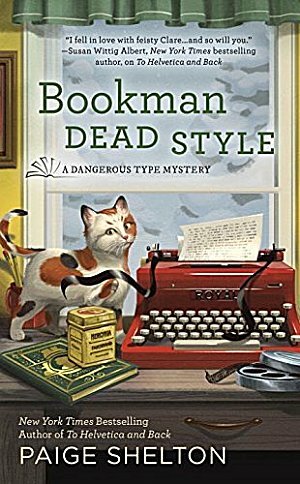 Bookman Dead Style is the second book in Paige's Dangerous Type cozy series which is set in Star City, Utah. One of the things I enjoyed so much about To Helvetica and Back-- the first book in the series-- was its setting of a fictionalized Park City, Utah. Paige brings the town to life, and I can't wait to read about it during its film festival! Those of you who've read my blog for any length of time know that I'm probably a bit unhinged when it comes to my affection for Scotland (and in particular the Highlands). 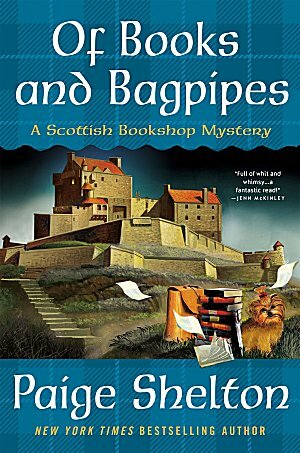 Paige's first Scottish Bookshop mystery, The Cracked Spine, was a bit of a book lover's dream: a young American woman gets a job in a bookshop in Edinburgh, Scotland, and a bit of murder and mayhem ensues. They both sound good, don't they? I'm thankful that they are being published at different times; otherwise, I wouldn't know which to read first! What about you? Are Bookman Dead Style and Of Books and Bagpipes on your radar now? Or did you beat me to it? Inquiring minds would love to know! Both the series are well worth reading, Margot. Please give them a try! I have To Helvetica and Back and The Cracked Spine on my TBR list. I guess I better step it up! Yes, I've read the first in both these series and am definitely looking forward to these two! !